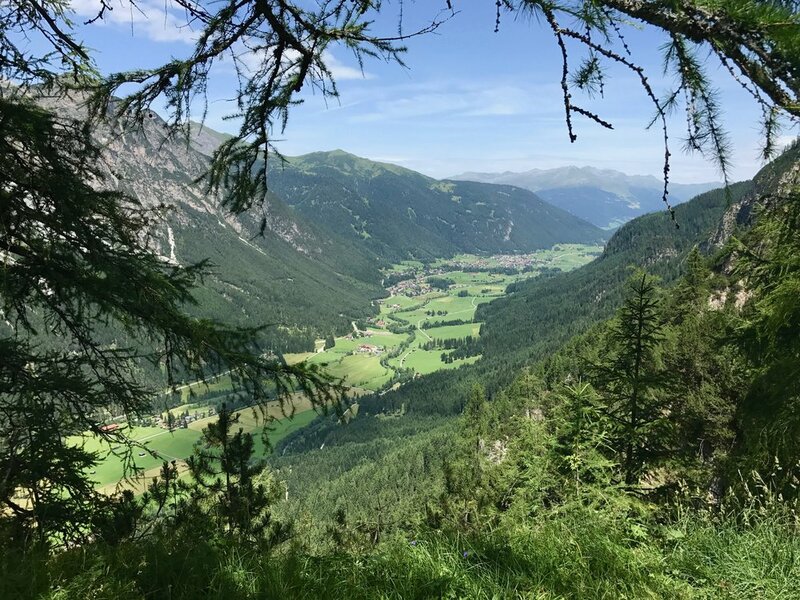 Located in the picturesque village of Trins in Tirol, The Schloss is nestled in a stunning Alpine valley only 25 mins from Innsbruck but in the heart of untouched mountain scenery. 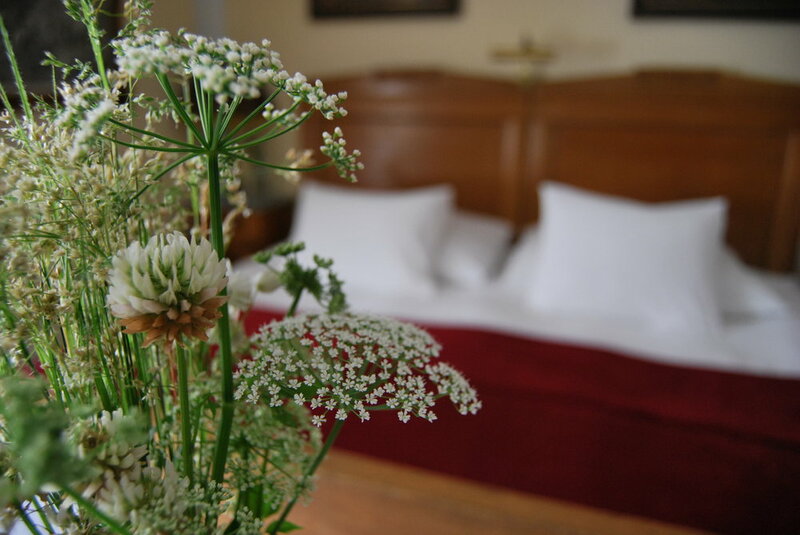 The ethos at The Schloss is simple - unique accommodation, attentive service, inspiring scenery and great food. 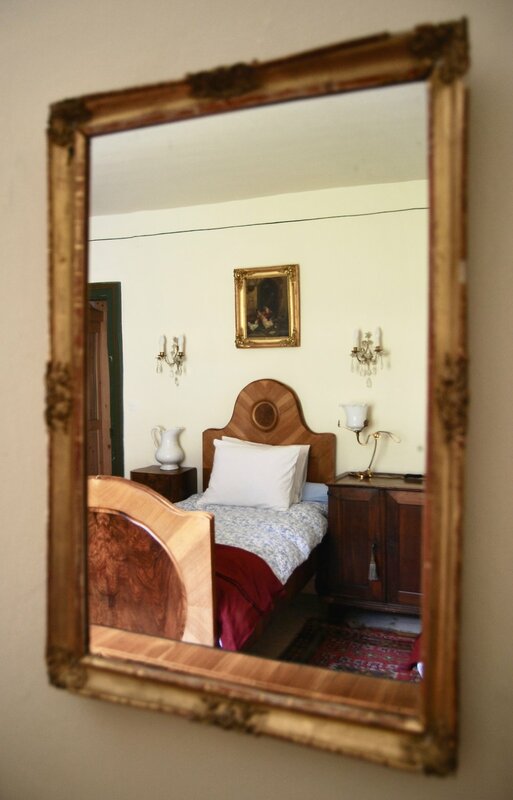 The traditional, yet unique Austrian house, which has been in the Saker family for centuries, is spacious and filled with character offering beautiful views and a calming and relaxing energy to help you feel at ease and at home. 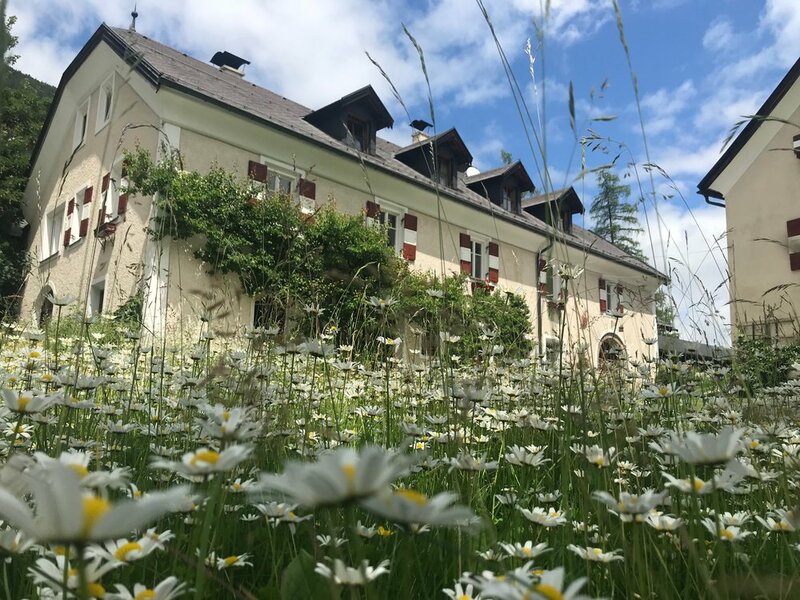 Set in the picturesque Tyrollean farming town of Trins at 1,223m above sea level, Schloss Schneeberg is only 25 minutes from Innsbruck and 20km from the Brenner Pass into Italy. Trins is a lovely village; peaceful, tranquil and filled with natural beauty as well as being one of the sunniest spots in the Wipptal area. 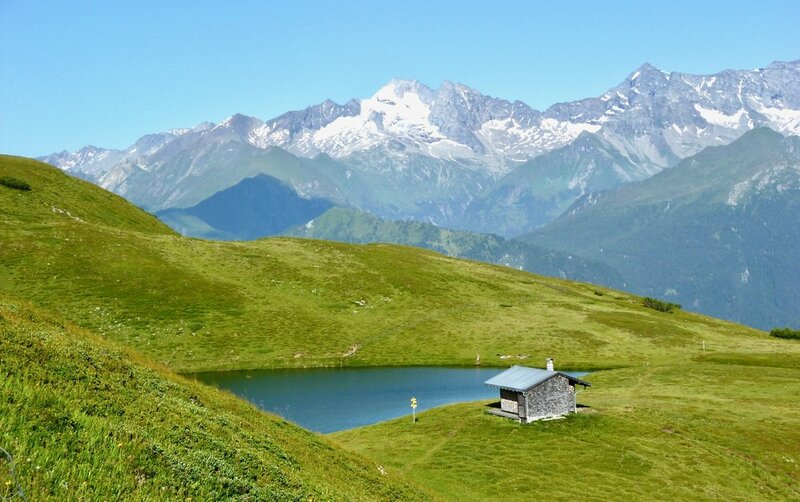 The mountains surrounding Trins are some of the richest with flora in the Alps and criss-crossed by more than 300km of hiking and biking trails, making it perfect for exploring nature’s gifts. Meals will be vegetarian, and produce used is organic whereever possible and sourced from Austria or as locally as possible. When ever possible meals will be served on the 13th century tower with 360 degree views of the mountains and village, the sound of the river below. 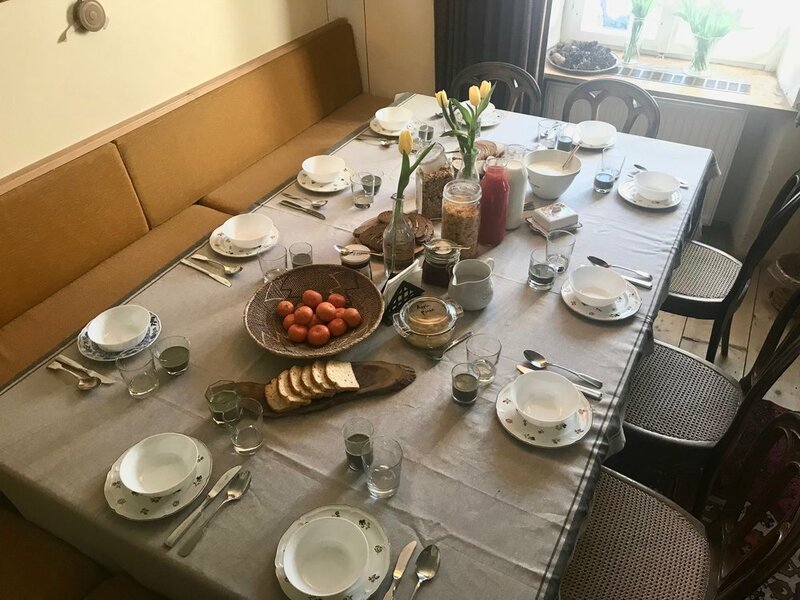 Breakfast includes things such as seasonal fruit, over night oats, home made sourdough, foraged berry compotes and boiled eggs from local hens. Dinner flavours are based on a mix of European, Middle Eastern & Asian influences whilst also incorporating principles of healing through food. Dietary requests can be catered for. 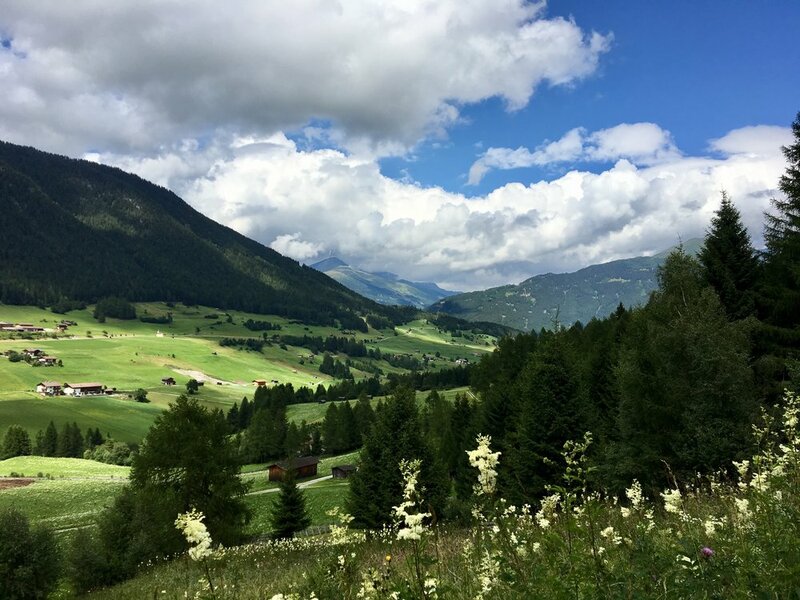 We will enjoy two lunches and one evening meal out in the local area, taking in the scenery and sampling the local cuisine. These meals will not be included in the retreat price. 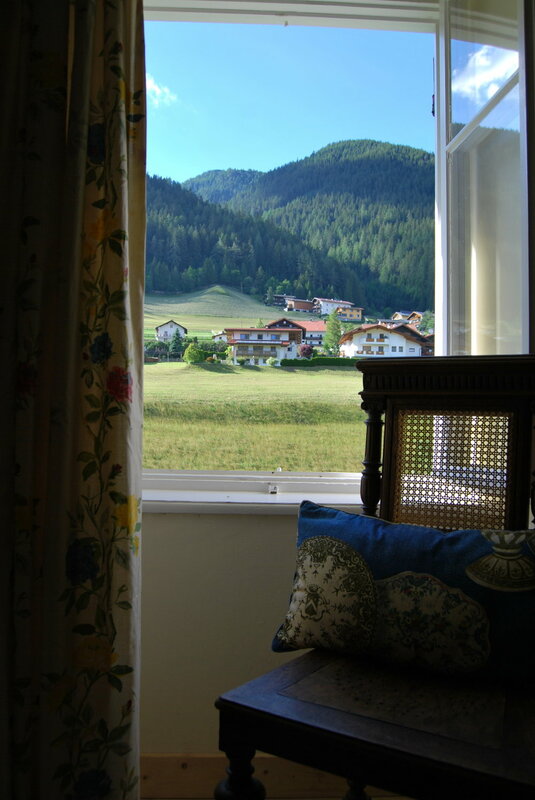 Our home for the week is based in the beautiful village of Trins, in Tirol. The closest airport is Innsbruck which runs regular international flights to many destinations across Europe, Innsbruck Train Station has direct links from Amsterdam, Salzburg, Zurich, Munich, Venice and other major European cities. 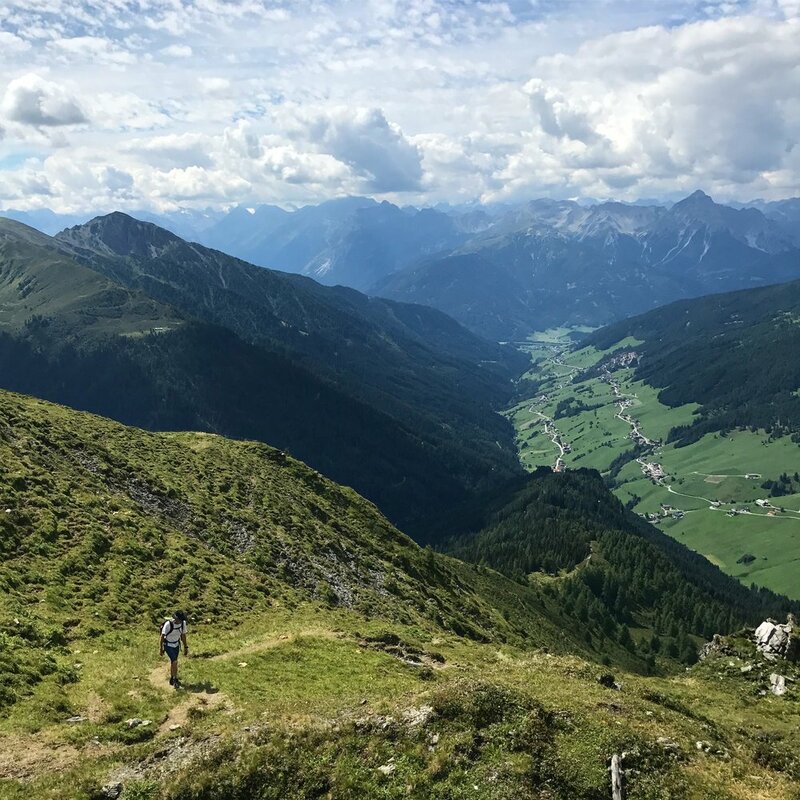 Transfers on arrival and departure days from Innsbruck, whether arriving by plane, train or private transfer, are included in the retreat price. Alternatively transfers from Munich and Salzburg Airports can be arranged at an additional cost, both of which are around 2 hours drive. Suggested airports are Innsbruck and Munich. Please note… all activities are optional – this is your break and you can choose to do as much or as little as feels right for your mind and body. 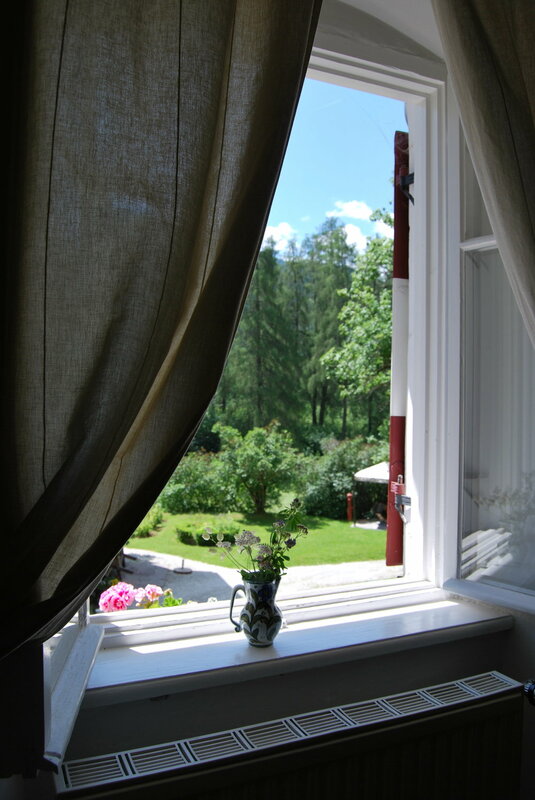 Most mornings will include a yoga inspired movement practice which will vary each day, and simple meditation, intention setting for the day, followed by a shared breakfast and then leisurely time to enjoy and relax around the area in groups or in solitude depending on your desire. 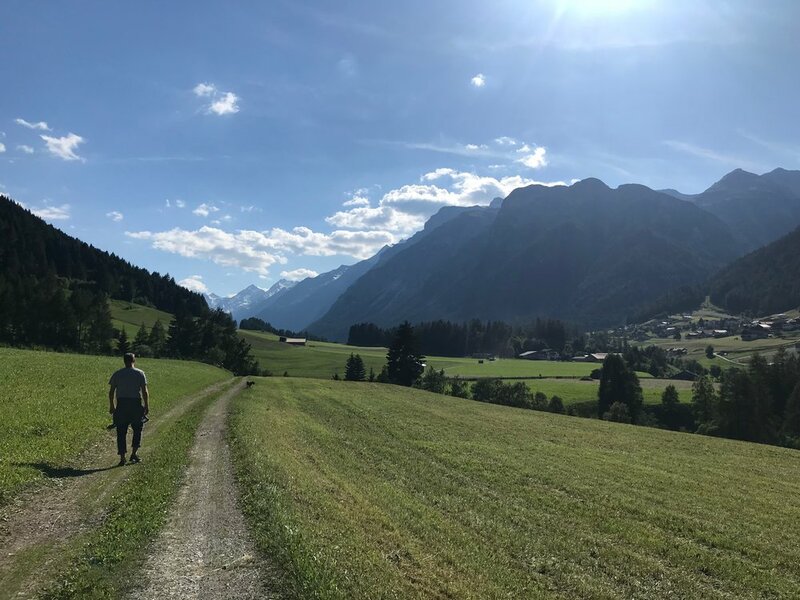 After lunch we will spend the afternoon immersing ourselves in nature with explorations on foot in the mountain area, followed by free time, an evening yoga nidra practice and optional sharing circle, then a delicious dinner to finish off our day. The idea of this retreat is not to be constricted by strict schedules or rigid structure, we will flow with the weather, the energy of the group and days will vary. 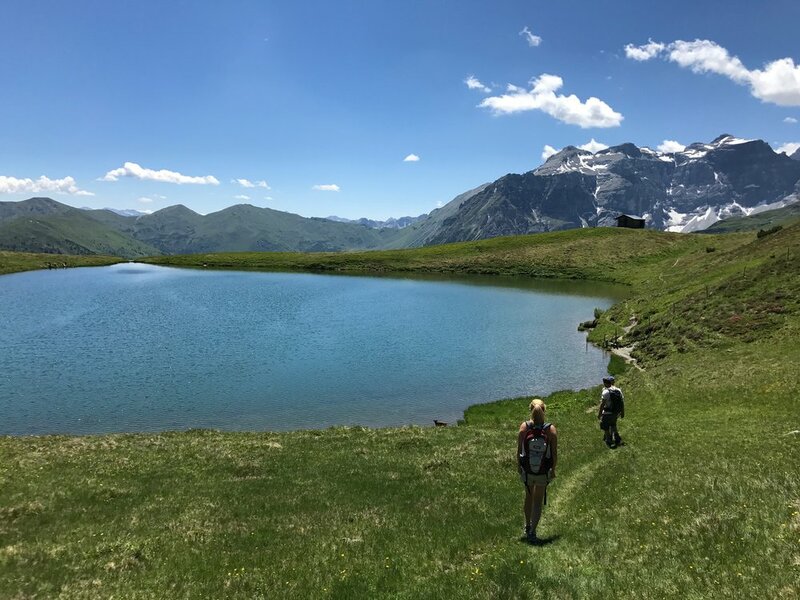 On at least two days we will take to the mountains for a day in the fresh air, with one all day hike, and there are additional optional activities such as bike hire, climbing and other adventurous experiences should you feel drawn to them. While this is a guided immersion, if you crave exploration then you are more than welcome to follow your curiosities. The price includes six nights accommodation at Schloss Schneeberg, all yoga and meditation practices (including mats supplied), daily breakfast, four lunches (two days we will eat out for lunch), five vegetarian evening meals (one evening meal will be eaten out in the nearby town), welcome snacks on arrival afternoon, teas & coffees throughout, transfers to and from Innsbruck Airport or train station and transport during stay. Flights are not included. Please note there is an additional Local Tourist Tax of €1.50 per person per night, to be collected in cash at departure. For bookings placed before 31st January 2019 a 15% discount will be offered. A deposit of £200 will secure your space. Full payment required 6 weeks before the start of the retreat. Payment plans are available.